In this Take 10 show, Emily shares the importance of not only analyzing a deal for the property itself, but also analyzing the area in which you are looking to invest. Often we can get caught up in the numbers and the property itself, forgetting to think about external factors that can influence the ability of our property to get rented. 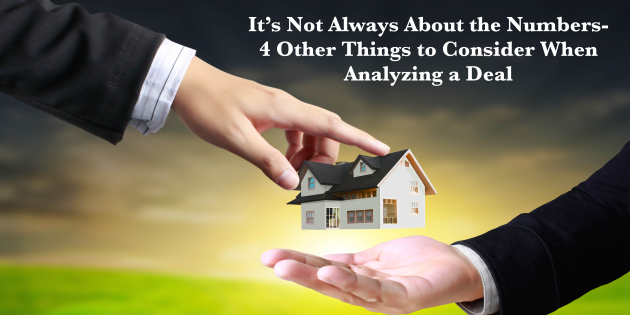 She shares four things to research when looking to invest in a new area. Want To Learn More About Analyzing Properties? Click here to access our free video tutorial on how to analyze properties. We'll show you how to calculate the ROI on potential property, conduct rental comparable analysis and how to run the numbers on a deal to ensure it aligns to your goals. Get started now.